This SLICE of PARADISE sits tucked away in desirable, gated Old Town Villages. 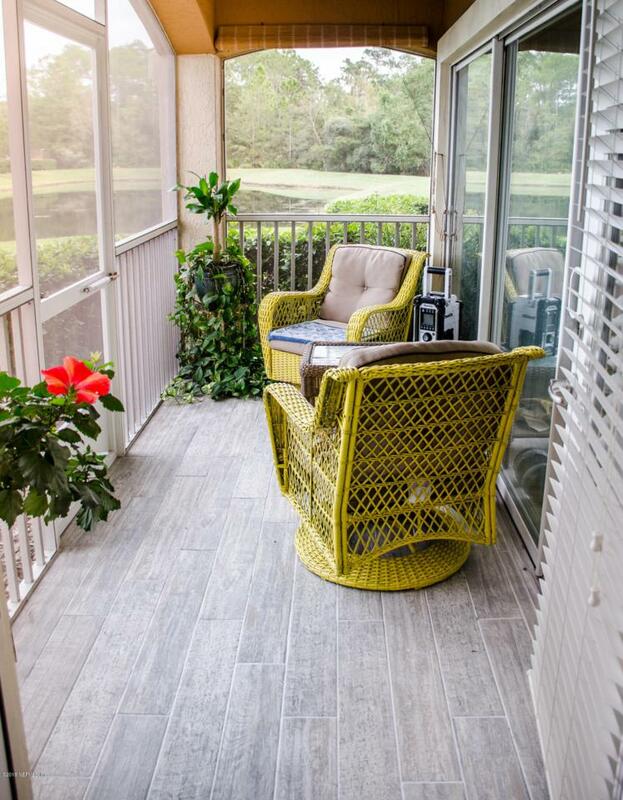 RARE, Ground Floor End Unit boasts 1049 Sq.Ft of Living space, complete with 2 Bedrooms, 2 full baths with serene pond view from both bedrooms and living area. The Kitchen overlooks your Dining & Living room, which also opens up to your cozy screened lanai via large double sliding glass door. 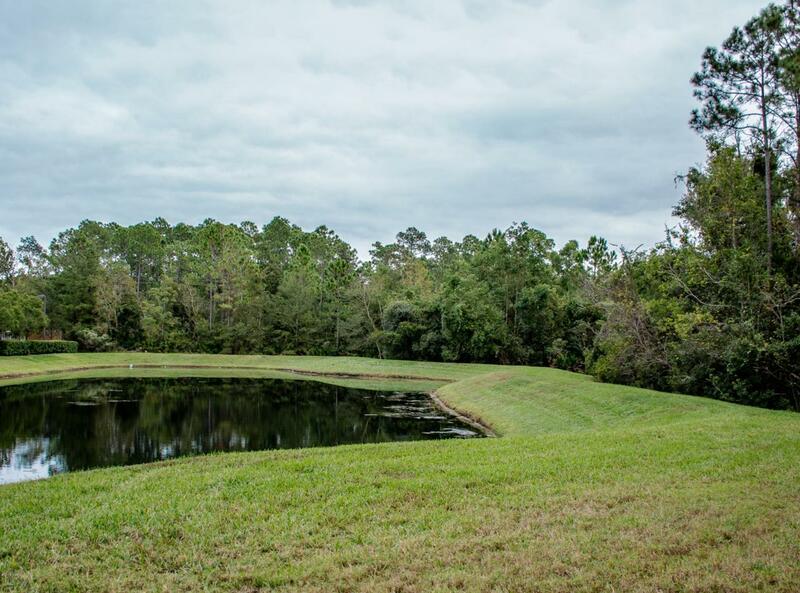 Amenities include refreshing Pool, Gym, Gated entrance, Water, Basic Cable, Roof, Club House, Lawn Maintenance, Putting/Chipping Green, Walking/Jogging Path, Breezeway Maintenance, Boat/RV parking. Look no further for the ideal location... you're minutes away from Outlet Mall shopping, the BEACH, Historic St. Augustine adventures, I-95, & you can walk to the Aquarium!Welcome Home!!! 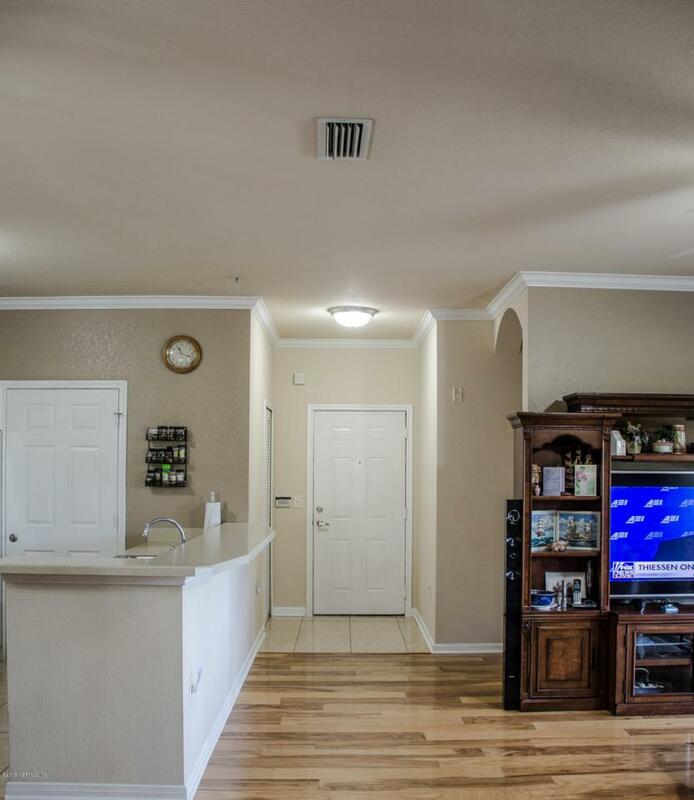 Don't delay, tour today.HOA Amenities Include: Gated Private Entrance, Fully Entertainment Club House, Resort Style Pool, Fitness Room with Childrens Play area, Tennis, Volleyball, & Basketball Courts, Playground, Walking/Jogging Trail, Endurance/Confidence Course, Boat/RV Parking, Lawn Maintenance, Pest Control, Water & Sewer, Basic Cable, Roof, and Chipping Green.